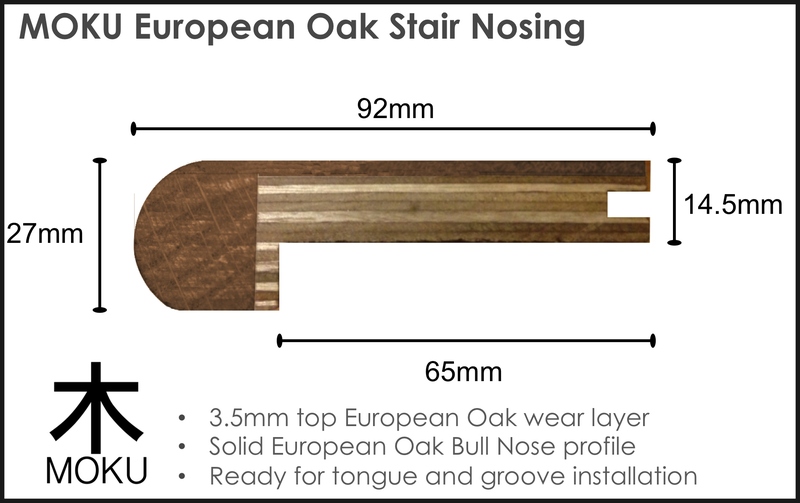 Continue your European Oak floor onto the stairs with this matching stair nose (bull nose) solid oak. The architecturally designed bull nose profile ensures your stairs and steps are part of your beautiful new floor. Available in all the Moku™ European Oak colour finishes.